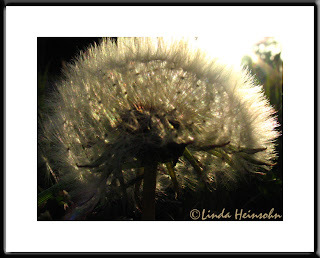 Shot this dandelion on a morning walk directly into the sun. On my hands and knees (obviously), 5 inches away from my tiny subject. You gotta love macro! If you look closely (and if the resolution lets you) you can see rainbows from the way the dandelion fibers split the sunlight into different color frequencies.